Some part of [the Muqaddima] might be useful to young college students of Ibn Taymiyya’s time as ‘a survey of the field’; to help them pick their way through the kinds of tafsirs that a good college library would keep on its shelves. But neither the argument nor the structure of the Muqaddima is suited to that purpose. It is clearly addressed to the believers’ need to close the gaps between what they think they know and what they really understand, and between what they really do understand and how they actually live. Ibn Taymiyya’s Muqaddima fi usul al-tafsir is a summary guide for believers who want to understand the Qur’an well enough to live by it. It is not a guide to the established literary types of tafsir, whose concerns range from justifying theological or philosophical doctrines, elaborating on the Book’s literary merits, arousing awe or other religious moods, to sifting and straining its words to distil legal rulings. Some part of it might be useful to young college students of Ibn Taymiyya’s time as ‘a survey of the field’, to help them pick their way through the kinds of tafsirs that a good college library would keep on its shelves. But neither the argument nor the structure of the Muqaddima is suited to that purpose. It is clearly addressed to the believers’ need to close the gaps between what they think they know and what they really understand, and between what they really do understand and how they actually live. For that reason, it has been treated, both negatively and positively, as a sort of blind faith exercise, stubbornly insistent on a narrowly Sunni orthodoxy, and refusing intelligent, nuanced (i.e., spiritually arty) encounter with the text of the Qur’an and its difficulties. This fits with the caricature of Ibn Taymiyya as a champion of a militant ‘radical’ Islam or, in the categories of Western scholarship, a ‘fideist’ and ‘literalist’. Since the 1990s, this carica¬ture has gradually become discredited ¬– largely due to the careful presentation of the Shaykh’s works by Yahya Michot and a handful of other scholars who have followed him in reading Ibn Taymiyya with the honest, patient attention that his own scrupulously honest thinking deserves. The Muqaddima is a fairly short treatise, written out or dictated near the end of Ibn Taymiyya’s life, probably during his final imprisonment. The Shaykh states in his preface that he composed it at the request of ‘one of the brothers’. This implies that it was intended to be read by someone inside or close to his small circle. Allusions to the concerns of his voluminous other writings are unmistakable in the many examples and phrases from them that are ‘recycled’ in this Muqaddima. Among those writings are long, densely reasoned arguments against philosophical and theological pos¬itions that he judged to be harmful to the faith and religious life of Muslims. He could assume that his unnamed reader was familiar with those arguments and agreed with them. This assumption cannot be made for contemporary readers; rather there is a need to discuss rather more than what is directly present in the text of the Muqaddima, if that text is to be properly understood. 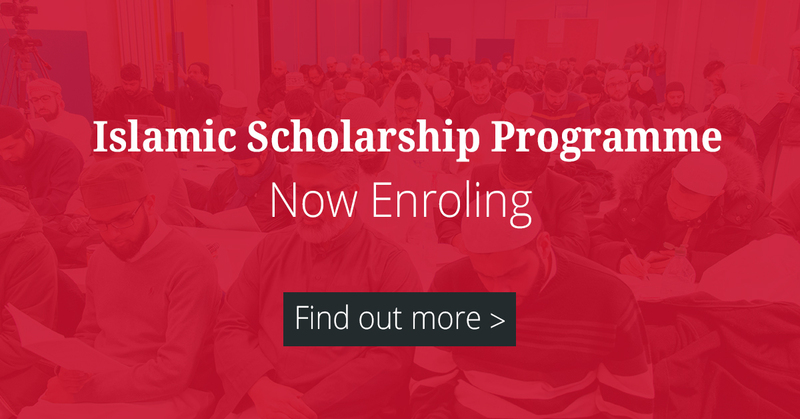 This additional material has to be restricted to what improves understanding of the Muqaddima’s approach to understanding the Qur’an – otherwise, nothing in the whole life and work of Ibn Taymiyya could be left out since the Qur’an marked everything he thought and did, just as it has marked every feature of Islamic culture and civilisation that is distinctively Islamic. We can distinguish Ibn Taymiyya’s particular interpretations of the Qur’an from his argument as to how it should be interpreted. His interpretations (like anybody else’s) can be tested for their conformity to the approach he commends. Murad or ‘speaker meaning’, which is (or should be) the goal of effort to understand and interpret the Qur’an. This concept is central to Ibn Taymiyya’s account of the rela¬tion¬¬ship between words and meaning in language generally, and specifically in the texts of Qur’an and hadith. Speaker meaning is different from ‘sentence meaning’, i.e. from words understood without reference to what their speaker intended: this is an approach suitable for purely literary (or otherwise professionally technical) texts, but not for the Qur’an (or perhaps any other Scripture). Sentence meaning is distinct from ‘word meaning’, i.e. words understood on their own, separately from any relation with context. Ibn Taymiyya holds that meaning does not inhere in words; rather, it is something that emerges from the connection, in a specific context and situation, between speaker and hearer. He treats words on their own as a special instance of context, which it is useful to reflect on because it enables us to focus more easily on what differentiates one usage from another. Otherwise, he does not accept that words have a ‘proper’ or ‘true’ literal meaning; even if they did, such meaning would have no claim to authority that can override murad. He sharply critiques two techniques for by-passing the speaker meaning of the Qur’an: ta’wil or interpretation of the sort that, with different excuses, moves away from the directly available sense of the words; and tafwid or surrender (i.e., to God) of the effort to understand certain expressions in the Qur’an with the excuse that no-one, not even the Prophet, knows or can know their meaning. Our ability to understand the speaker meaning of the Qur’an is affected by its being divine speech. However, since the vehicle of that speech is a human language, our ability to understand it is also subject to the conditions that apply in inter-human speech. Among these conditions is a requirement that the hearer must have some initial grasp of what the speaker is talking about, some way of ‘connecting with’ or ‘recognising’ something in the speech with which the effort of understanding can begin, and some sort of stake which motivates the will to understand the speaker. Ibn Taymiyya holds that the fitra makes up the initial ‘human competence’ which allows the effort to understand God’s speech to begin. The fitra contains the basic presuppositions or axioms of reason; the basic faculties for processing sense impressions; for language acquisition; for differ¬en¬tiating harmful and beneficial; for distinguishing impulses and behaviour as disap¬proved and approved; a strong awareness of dependency on God; and, as Ibn Taymiyya emphasises, a love of God, manifested in a feeling of responsibility or care and a desire to find or be near Him. The fitra in itself contains no more than an intimation of God and that which is due to Him by way of gratitude, obedience, love. This cannot really be called knowing God. Rather, it is analogous to being on a hill inland and hearing the cry of a sea-gull, or catching on the air some smell that brings to mind the sea: these intimations can make us turn in one direction (towards the sea) rather than another; but they do not constitute a travelling in that direction, still less any arrival, any sighting or knowledge of the sea. The direction of travel (see nubuwwa) is assured by signs that strengthen the first intimation (sea-smell is stronger, sea-spray on the air, etc. ), or the opposite. The fitra is highly vulnerable to alteration, depending on the nurture it finds. However, it can never be annulled altogether (in the way that, for example, the faculties of sight or language acquisition can altogether atrophy if the eye is not exposed to light or the ear is not sufficiently exposed to human language). The condition of the fitra, when it is impeded, may be likened to the distress and fear of a lost infant, unable to identify its parents in a crowd of people. When unimpeded, the fitra can develop into an explicit searching for God as reported of Ibrahim (as). The primordial monotheism of Ibrahim is directly associated in Prophetic hadith with the fitra. Islam is the recovery and com¬pletion of that mono¬theism; Judaism and Christianity are historical examples of alteration to it and to the fitra. Nubuwwa or ‘prophethood’, in the broadest sense, is the ‘nurture’ which activates and protects the ‘nature’ given in the fitra. Just as a healthy new-born’s eyes begin to function when activated by light, so the innate predisposition to know and love God is activated by the divine initiative of revelation, implicit in the ‘signs’ of nature and explicit in the teaching missions of the Prophets and Messengers. 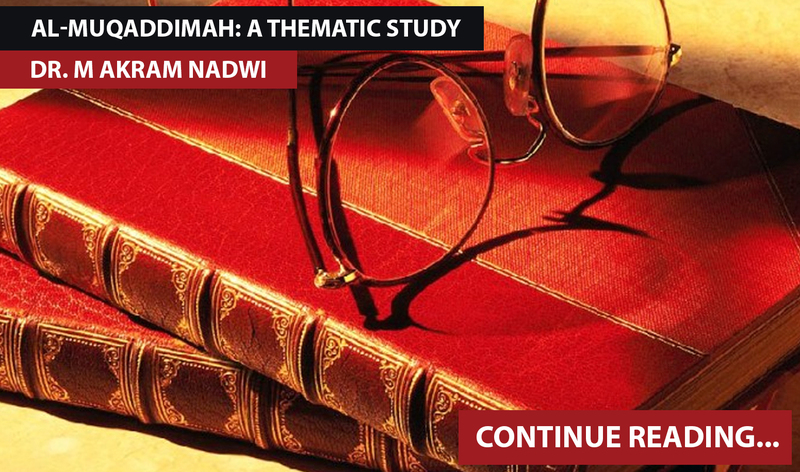 Nubuwwa, more narrowly understood, shapes and directs the effort to understand the Qur’an and give it practical expression. Nubuwwa is the means by which God is explicitly known, whereas the fitra by itself is capable only of intimations, of a feeling that something is to be searched for, without experience of what is searched for. Nubuwwa is the foundation and arbiter of religious authority. However, it is not the case that its authority is expressible in the form of fixed institutional authority (a school of law/doctrine, for example) combined with fixed documentary authority (a hierarchical corpus of texts which define and validate doctrine). Rather, this authority is subject to (and derivative from) the interplay of human effort to understand and embody the murad of the Qur’an. The Qur’an is made clear by the Prophet’s response to it, by the questions and answers of his Companions, and by the whole range (including accord/discord, consistency/inconsistency) of what is reliably recorded from that period. For late-comers to Islam the Qur’an may be likened to a map of a wide, difficult terrain. Studying the map, they can at best try to reconstruct in their minds what the first-comers directly experienced of that terrain. The latter traversed it physically, lived through the journeying in all weathers and conditions. Their familiarity with the murad of the Qur’an and the Prophet’s teaching qualifies their understanding to be the paramount considera¬tion for all who have come to Islam after them. Nubuwwa is a historical reality, it happened when it happened and can never happen again. Its authority cannot be carried by a privileged blood line, nor by a social caste of interpreters or mediators – (any form of priesthood or sainthood or professional elite). It cannot be reproduced by individual excellence in intellectual or devotional pursuit. Any claim to reproduce or replace the authority of the Prophet – if it is more than the kind of lyrical self-exaggeration that is normally excusable as bad manners – necessarily invites to deviancy, heresy and apostasy. Irada or ‘will and resolve’ is the most difficult of the four ‘themes’ to illustrate compactly from Ibn Taymiyya’s writings. He put a lot of energy into trying to extricate personal choice, will and intention, from a tangle of dogmas about when and how far secondary causes operate in the world autonomously of the will of an omnipotent and omniscient God. Human respon¬sibility to God is the whole burden of Islam, and of monotheist religions generally. It is not an easy task to identify, from the great mass of his writings, just those passages where the Shaykh al-Islam links that responsibility (and freedom of will) to the effort to understand the Qur’an. Understanding is not compelled; it can fail just as inter-human communi¬cation fails. God has willed this freedom with its propensity to error and failure, but balanced by forgiveness for those who seek it. If the will to understand is not sustained with resolve, then the understanding of the Qur’an by a group cannot be modified by an individual, nor the reverse. God has preserved the community as a whole from permanent consensus on an error in religion, but consensus on error can endure among groups and sects for such a long time as to cause great harm. 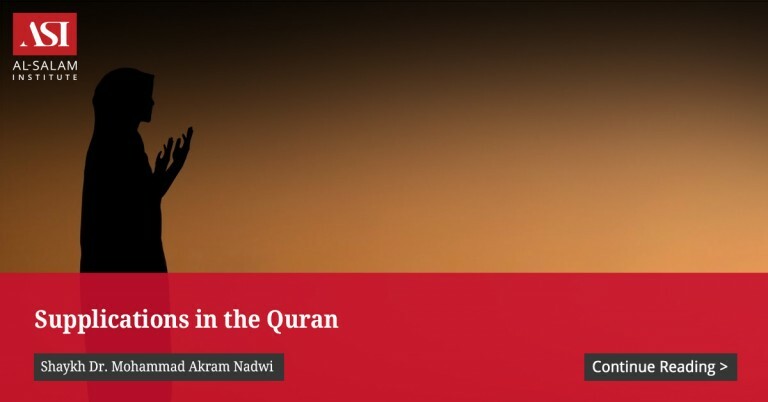 How openly understanding of the Qur’an is practised as a way of living, as individual and collective lifestyles, affects how quickly errors of understanding can be corrected. However, if understanding is not expressed in active reform of conscience, attitudes and behaviours, then understanding the Qur’an is no different from not-understanding it. Moreover, such understanding has not been tried and tested, and so individual and society are deprived of means of improve¬ment by it. Separated from the resolved will to implement it as a way of life, study of the Qur’an becomes academic or aesthetic appreciation of the text or the historical fact of the text. In this way its religious value is dissipated and absorbed into the methods and values of the discipline being applied. Its connection with nubuwwa is then lost – rejected, in preference for the methods and values of academic or aesthetic appreciation. That in turn entails further loss, since nubuwwa is the means of connection with the intended meaning of the Speaker, and with the deepest human need carried in the fitra, to know and love God.